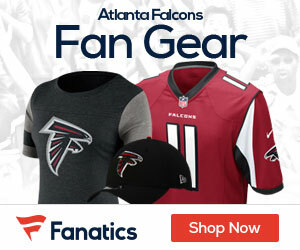 Falcons Gab - The Definitive Atlanta Falcons Blog! 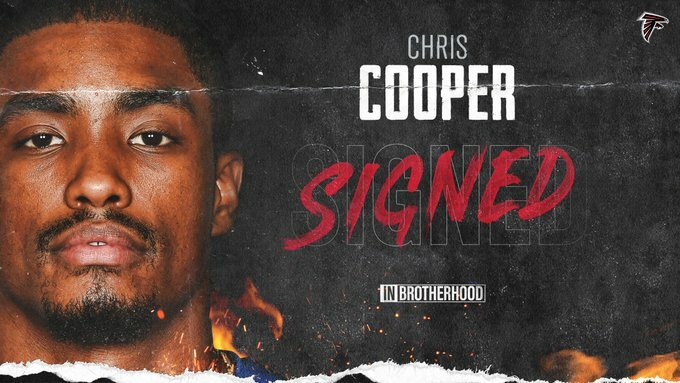 The Falcons have signed defensive back Chris Cooper to a two-year contract according to Vaughn McClure of ESPN. Undrafted out of Stony Brook, the 25-year-old went to training camp with the Colts last summer but was later waived with an injury settlement after suffering a concussion. He also spent time on the Chiefs’ practice squad. Cooper’s primary position is safety but he can play nickel corner in a pinch. Former Saints defensive lineman Tyeler Davison could join an NFC South rival in the upcoming season. Sources told the NFL Network that the Falcons are bringing in Davison for a visit. It’s the first reported visit for Davison since the Saints let him enter free agency this off-season. New Orleans added former New England Patriots first-round pick Malcom Brown to replace Davison. Davison spent the last four seasons with the Saints and was a key member of the team’s defensive line rotation. The 6-foot-2, 309-pound defensive tackle appeared in 61 games (48 starts) in the past four campaigns. The Saints originally drafted Davison in the fifth round of the 2015 NFL Draft out of Fresno State. He has recorded 95 total tackles, 3.5 sacks, three forced fumbles and four passes defensed in his four seasons. He spent most of the past three seasons as a starter alongside Sheldon Rankins. The Falcons have a need on the defensive line. 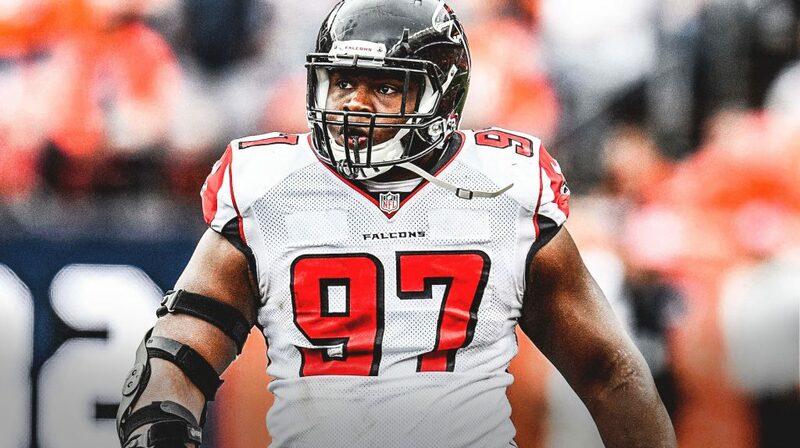 Atlanta interior lineman Grady Jarrett, who was franchise tagged this off-season, is working toward a long-term agreement with the club. Jack Crawford and Deadrin Senat are other members of the Falcons’ current defensive tackle rotation, while Terrell McClain remains a free agent. Since the moment they blew the biggest lead in Super Bowl history, the Atlanta Falcons have been doing whatever they can to make sure their defense is better and in a position to win games. To this point, it just hasn’t happened. 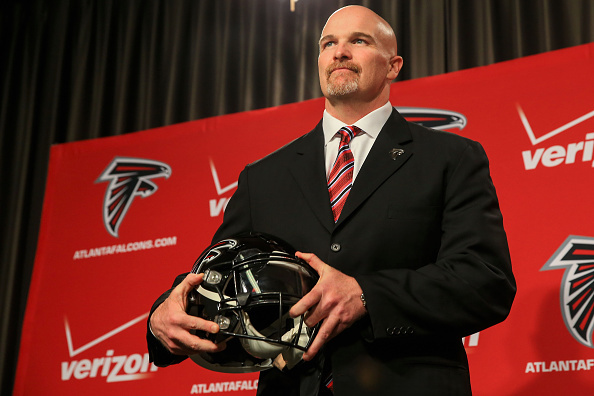 You can check the best sportsbooks and see that the Falcons swiss cheese like defense was a big part of the reason they missed the postseason in 2018, and head coach Dan Quinn is certain that it’s going to change in 2019. The team had a mountain of injuries on defense last season, with middle linebacker Deion Jones, strong safety Keanu Neal, and free safety Ricardo Allen among the starting players on defense that were lost for the year. 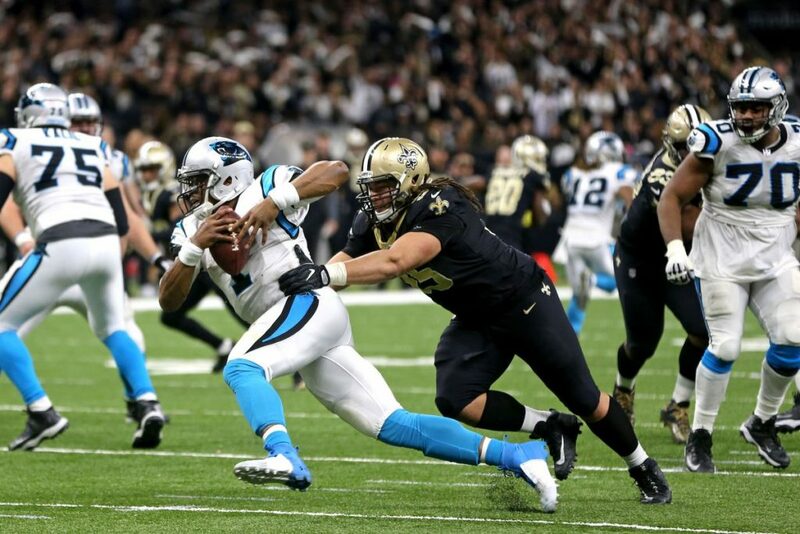 Because of the injuries the team was inconsistent, and they were unable to stop a lot of teams around the league, including the likes of the NFC South Champion New Orleans Saints, who they will have to figure out how to stop again in 2019. The team has already dumped defensive coordinator Marquand Manuel, and Quinn announced he would assume the position himself going forward, a dangerous trend for a team that needs a new voice on defense. “We’re looking for real consistency,” Quinn said of what he wants to see on defense next season and beyond with the talent they already have on the roster. Quinn calling plays, rightfully so, has a lot of Falcons fans nervous, but he was successful doing it in Seattle, where he helped lead the Seahawks to a win in Super Bowl 49 over the Denver Broncos, punishing the league’s best offense in Met Life Stadium. With free agency fast approaching, it will be interesting to see the moves that the Falcons make, and if Quinn decides to be the voice behind the defense as he’s said he will be in 2019, or if when things get tough he gives it to someone else. The Falcons are not close to reaching a new contract deal with defensive tackle Grady Jarrett, D. Orlando Ledbetter of the Atlanta Journal-Constitution reports. However, the Falcons remain optimistic a deal can get done. “We’re working diligently on Grady Jarrett,” Falcons general manager Thomas Dimitroff said. “That is our focus and will continue to be our focus right now. I’m confident that is going to get done. In order to retain Jarrett’s rights and block him from becoming an unrestricted free agent when the new league year starts March 13, the Falcons will have to place the franchise tag on Jarrett. They have a Tuesday deadline. The franchise tag price for defensive tackles is set at $15,209 million. That would gobble up most of the Falcons’ $22.3 million under the cap heading into the free agency. The salary cap for the 2019 season was set at $188.2 million. Falcons coach Dan Quinn said the team will consider using the franchise tag on Jarrett if the two sides cannot reach a new deal. “I would say it’s definitely on the table to discuss really thoroughly, but we’ll have to wait until to then to see if a deal can be done first,” Quinn said on Wednesday at the NFL scouting combine. The franchise tag for defensive tackles was $13,615 million last season. Falcons kicker Matt Bryant, who has been with the team for 10 seasons, announced he would be cut on Wednesday, D. Orlando Ledbetter of the Atlanta Journal-Constitution reports. Bryant, who will turn 44 in May, said he doesn’t plan to retire. The Falcons can get cheaper at the position by keeping Giorgio Tavecchio, the injury replacement for Bryant last season who had field goals of 50 and 56 yards in the team’s 23-20 victory over the Giants. The move creates $2.8 million in cap space for the Falcons. The Falcons appear to be in the thinking of re-tooling their defense in 2019, and it will start with a bit of a surprise, as the team is going to release cornerback Robert Alford. 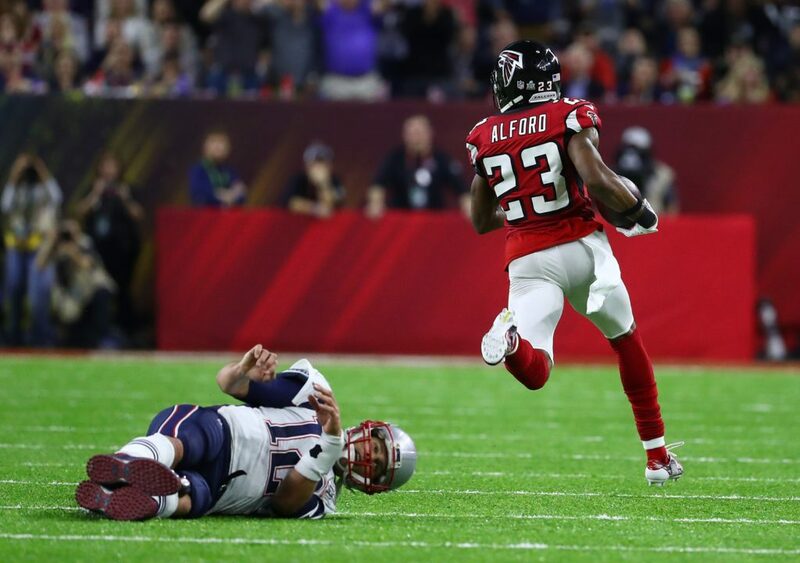 Alford started 88 games and had 10 interceptions after being a second-round draft choice back in 2013. The team will get hit with a $1.2 million cap hit upon his release, and he was to make $8.5 million in 2019. He is most famous for picking off Tom Brady of the Pats and returning the interception for a score during the first half of Super Bowl LI two years ago. Jalen Collins will likely get a bigger shot in the secondary as the team has been trying more to work in the former second round pick. One of, if not the biggest priorities for the Falcons this offseason will be to try and bring back defensive tackle Grady Jarrett. He’s going to be a free agent in March, but the team is hoping they can get something done before that time. Falcons General Manager Thomas Dimitroff told the team’s official website the hope is to get Jarrett signed before March. 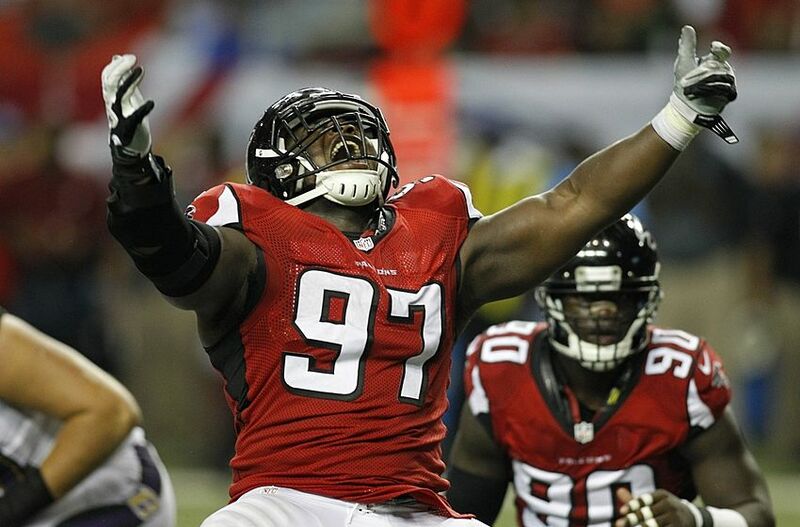 “We would like to have Grady back for many years to come,” Falcons General Manager Thomas Dimitroff said. “Not only on the field but what he does off the field for us, he’s very important. That has been our focus. We put it aside for a little bit through the season, of course, so he could focus on what he needed to focus on. The Falcons spent a good deal of money on extensions for some key players as of late, including quarterback Matt Ryan, safety Ricardo Allen and left tackle Jake Matthews. The Falcons are in the market for a new offensive coordinator after firing Steve Sarkisian Monday, and could turn to a former divisional foe for the answer to their opening. 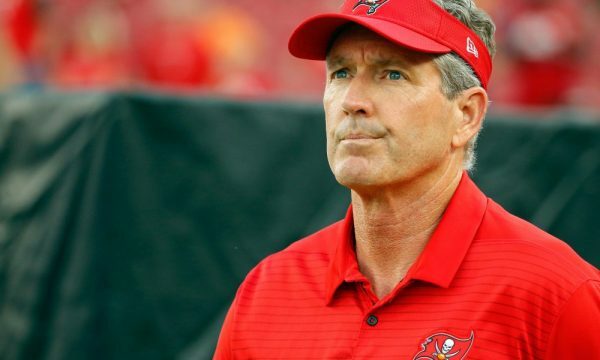 According to ESPN’s Vaughn McClure the Falcons on Saturday will chat with now former Tampa Bay head coach Dirk Koetter, who was fired on Sunday by the team. “Dirk Koetter scheduled to interview for the Falcons’ offensive coordinator position on Saturday, according to a source. Koetter, just let go as the Tampa Bay Buccaneers’ head coach, was the Falcons’ offensive coordinator from 2012-2014. Koetter’s last Falcons’ offense in 2014 averaged 378.2 yards per game (8th), 284.6 passing yards per game (5th), and 23.8 points per game (12th). Koetter was fired after going 19-29 in three seasons, and this past year went 5-11 for the Buccaneers. Last year, he went 5-11 with the team but managed to keep his position.